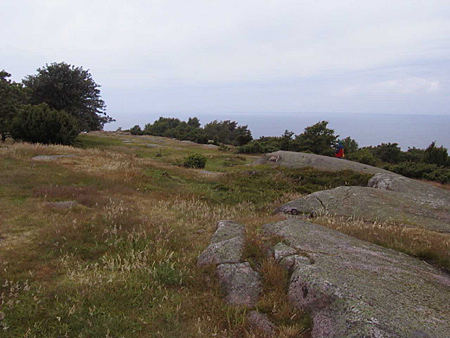 In the northern parts of the island Bornholm, the bed rock lies just below the soil surface and is exposed along the coast. 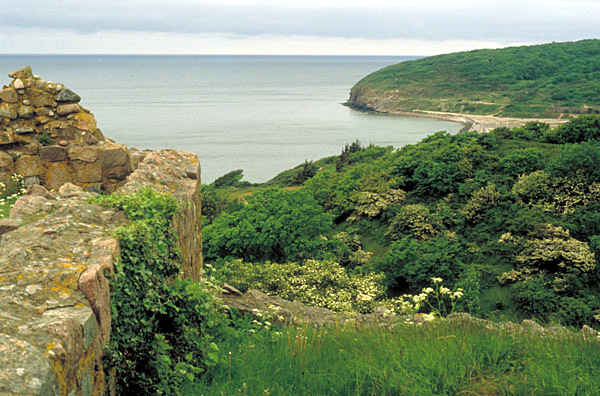 The bed rock is particularly visible in the area around Hammershus. 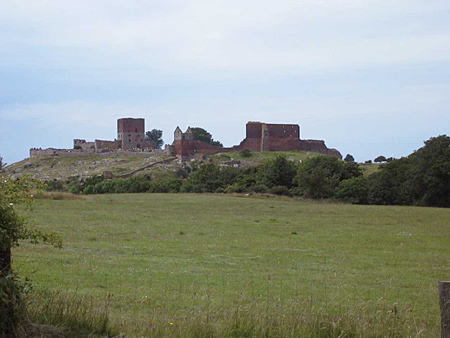 The ruins of the old castle Hammershus is one of the largest castle ruins in Northern Europe and is now one of the World Heritage together with the famous Kronborg north of Copenhagen. Around the ruins and further north on The Hammer ("Hammeren") is the bed rock only covered with a thin layer of soil and the rock can be seen in several places. On the rocks grows a special flora which is not seen other places in Denmark.